This Microdolly camera suction mount is ideal to safely attach a camera on a moving vehicle, aircraft, train or boat. 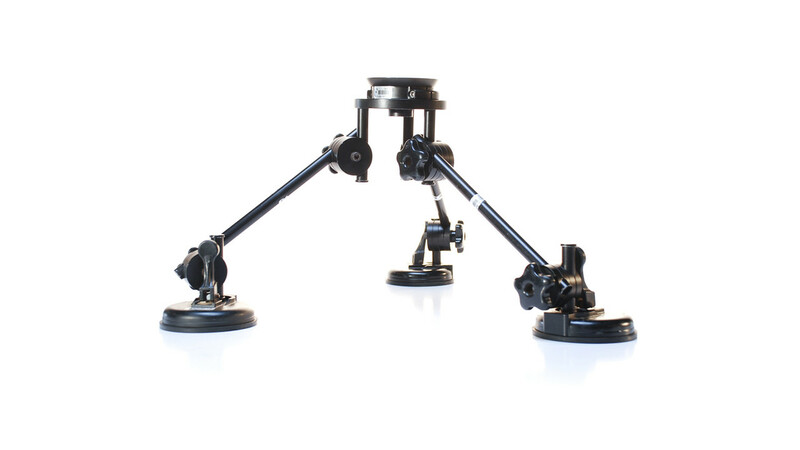 This innovative KIT uses three strong suction cups, six universal joint clamps and a set of three 12 inch and three 18 inch rods that connect in seconds to a camera plate to position a camera or light almost anyplace. A lighting spud and stainless steel safety cable are also included.